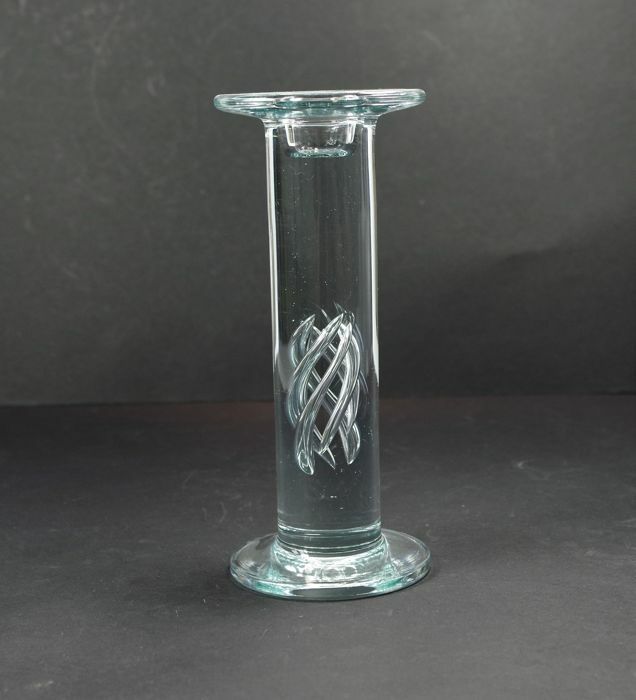 HOLMEGAARD HIGH LIFE - Vintage Hand Blown candlestick. 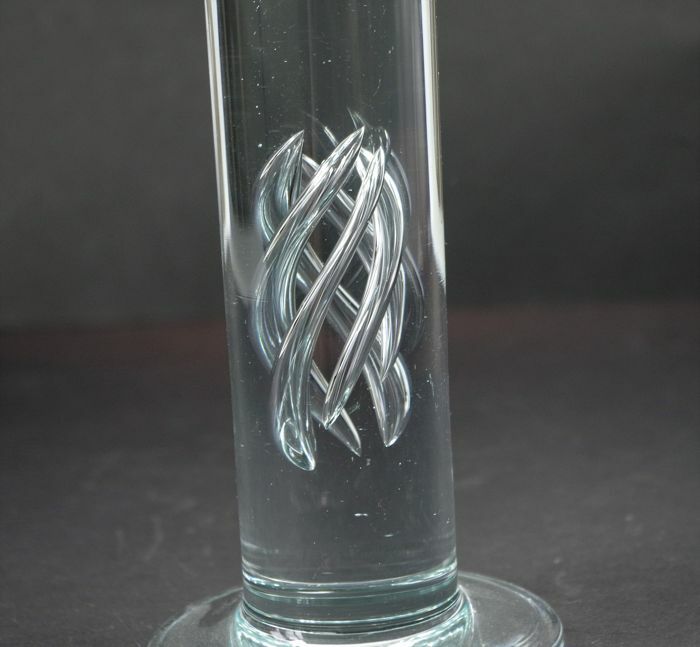 This very rare Holmegaard ‘High Life’ cylindric candlestick is part of a series designed by Per Lutken in 1979 and was in production until 1990. 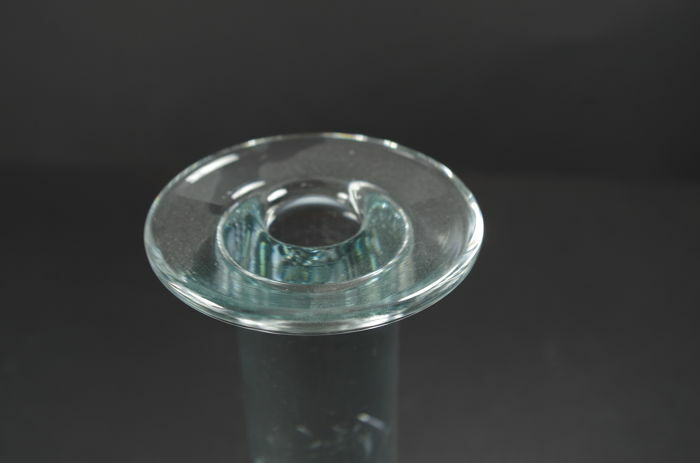 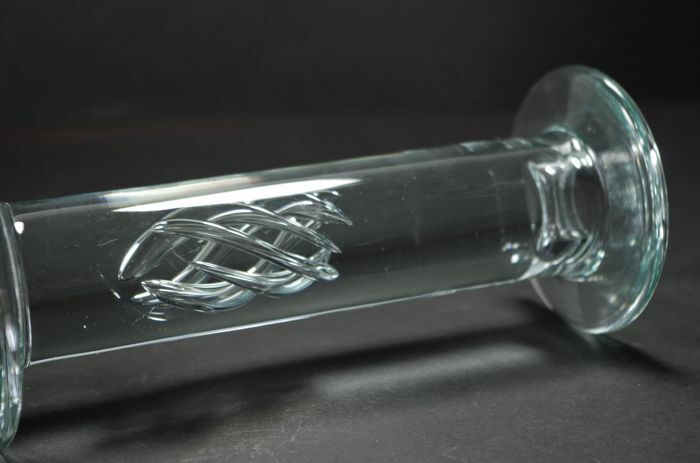 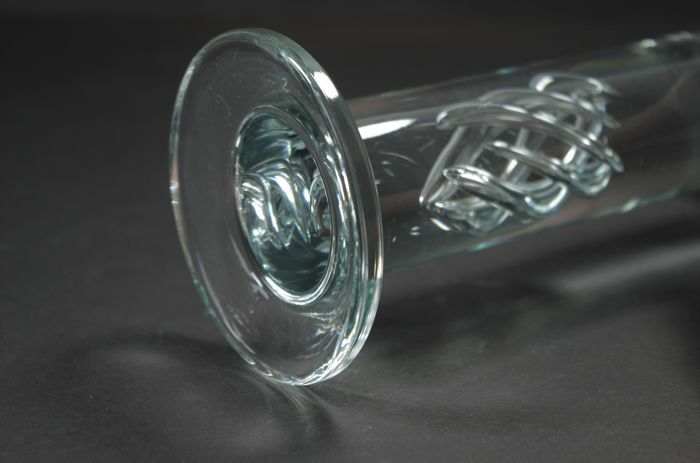 Each glass or candle stick from this beautyfull service is slightly different and has a unique Airtwist in the base. 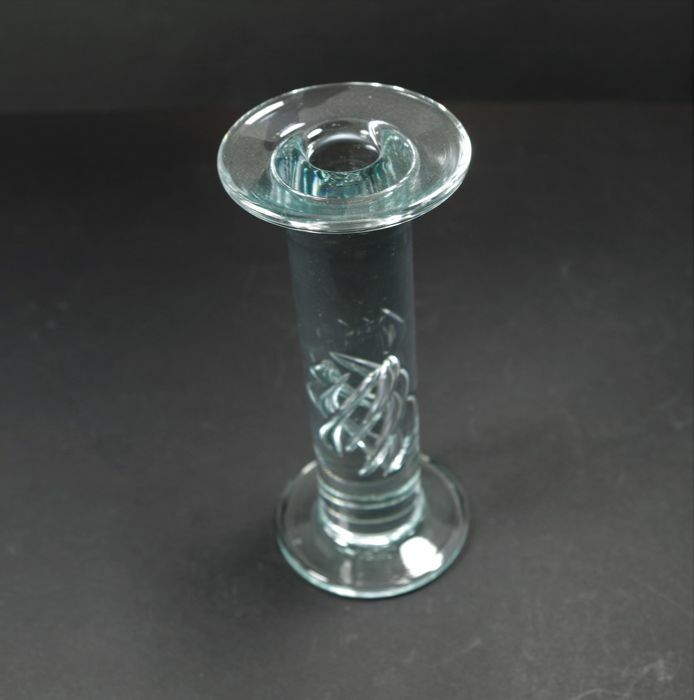 The candlestick is in excellent condition with no chips and has some barely visible light scratches due to some use. 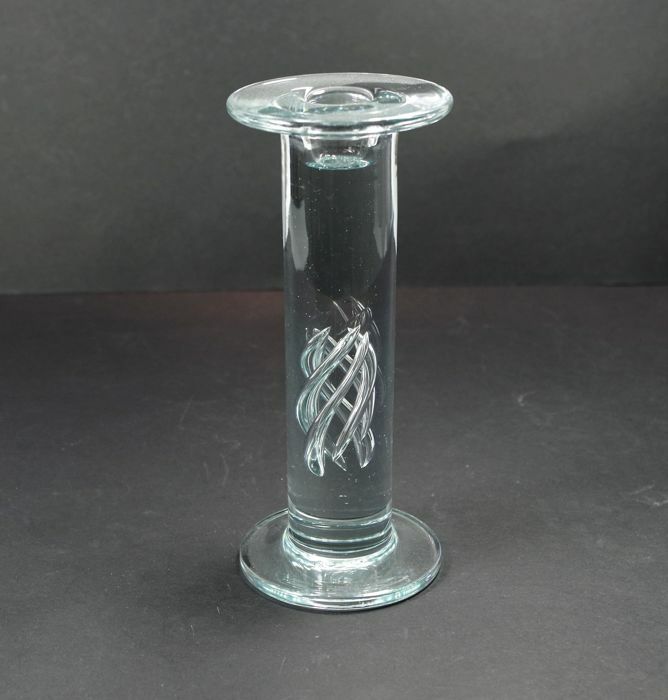 The height of this stunning candlestick is 17,5 cm. 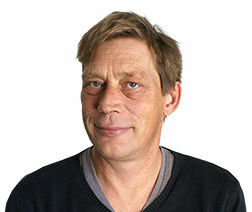 Collecting in person is possible within four weeks from the auction.